SIMUN is St. Ignatius College Prep’s Model United Nations club. SIMUN has had continued success in winning top awards at each of the conferences we attend. We are even expanding our sights to competing on the international level. In 2011, SIMUN attended its first international conference in St. Petersburg, Russia. In 2013, we attended another international conference, in China. In 2014, we attended a conference in Germany. In 2015, we traveled to a conference in Amterdam. In 2016, we traveled to Japan. SIMUN would like to thank all of the wonderful parents who sacrifice so much to make these amazing experiences possible. 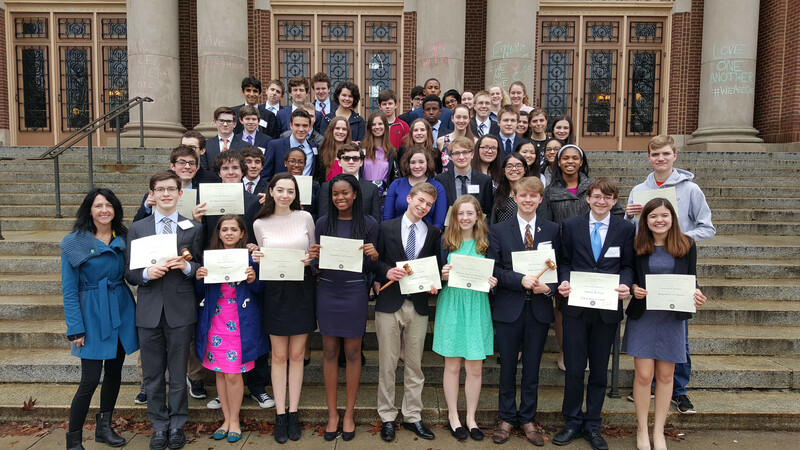 We also thank St. Ignatius College Prep in its efforts to provide financial aid for Model UN trips so that all students have the opportunity to participate. Please see our registration page. This website was designed by Michael McCarthy '12, has been maintained by Charlie Helding '13, Jack Whalen '14, Ian Klatzco '15, Jake Sepich '16 and Michael Hoffman '17, Adam Himes '18. It is currently maintained by Delaney Coyne '19.